And the line with the dubious honor of most delays? Aw, ef. Another day, another signal problem. The MTA subway system was plagued with signal-related delays nearly every morning rush hour last year, according to a new report from the advocacy group Riders Alliance. The alliance used the findings to call on Gov. Andrew Cuomo and the State Legislature to enact congestion pricing to fund overdue repairs for the ailing system. The Riders Alliance examined alerts from the MTA on 251 non-holiday, weekday rush-hour mornings — 6 to 10 a.m. — in 2018, and discovered delays on 230 days, which equates to 92 percent of mornings. The F train won the dubious honor of having the largest number of days with delays, 72 in all. It was followed by the 5 train with 63 rush-hour mornings of delays, with the M close behind with 62. August was the worst month, with 22 days of morning rush-hour delays, according to the analysis. The data came as the authority continues to grapple with poor service, a financial crisis stemming in part from declining ridership and a renewed fight between the mayor and the governor over how to fund the fixes. Funding the Fast Forward plan — NYC Transit President Andy Byford’s 10-year blueprint to save the MTA’s transit system that has been priced at around $40 billion — is just one of several challenges facing the authority. MTA leadership has stated that they will need multiple new sources of revenue, not just congestion pricing, to also help close a $1 billion budget gap it's facing in 2021. And the governor and the city have begun sparring again over MTA funding and who’s to blame for failing service. Cuomo’s budget director, Robert Mujica, issued a lengthy statement, 1,460 words, over the weekend calling in part for the city to split whatever budget shortfall is left if the State Legislature passes congestion pricing. After already being forced into paying for half of the Subway Action Plan, De Blasio refused on Monday to fork over any more money for the MTA. He insisted it is the responsibility of the State Legislature, which could create new revenue for the authority through taxes on legalized marijuana, or a millionaire’s tax . 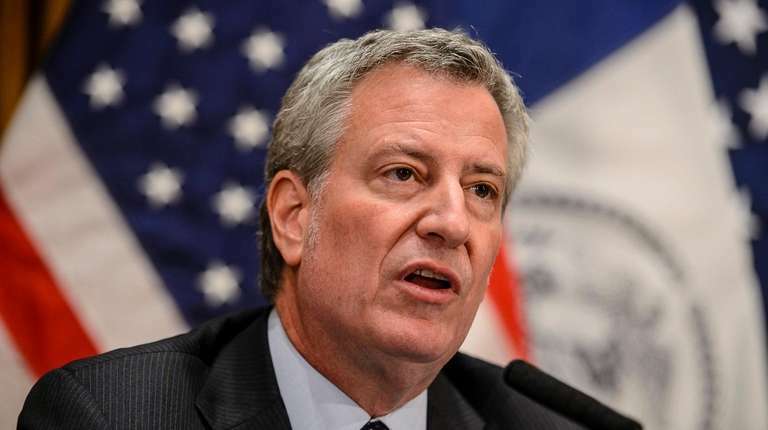 “If anyone thinks that money can be found in the city budget, they may be smoking marijuana,” de Blasio quipped Monday at an unrelated news conference. De Blasio stressed the need for the state to secure a funding fix in its budget for the next fiscal year, beginning in April. Cuomo, meanwhile, has begun pushing for more control of the MTA as he asks the city for more funding. The governor has long ducked responsibility for the MTA as ridership and service declined. 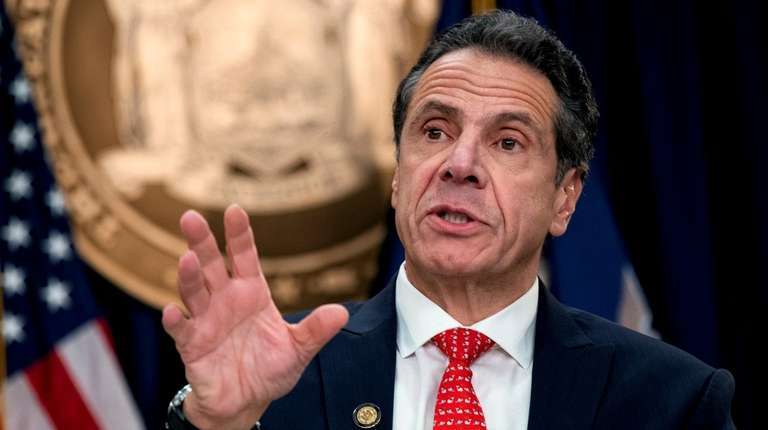 Though advocates argue that Cuomo’s influence over the authority is apparent in instances like the canceling of the L train shutdown, which the governor announced in his Manhattan office. During a radio appearance Monday, the governor advocated for greater control of the MTA, claiming “nobody’s in charge." While the authority is technically an independent corporation governed by its board, Cuomo effectively controls it. The governor appoints the MTA’s chairman, as well as six of 14 voting members on the authority’s board, and hires top leadership. De Blasio flatly disagreed with Cuomo at an unrelated news conference later in the day — “The state and the governor have [had] control of the MTA for a long, long time,” the mayor said — but added he was open to the idea of granting the governor greater control as along as certain “checks and balances” were in place, like giving the city greater say over how its funding contributions to MTA are spent. In response to the Riders Alliance report, MTA spokesman Shams Tarek cited the Subway Action Plan, an $800 million effort to limit subway service crises, adding that Fast Forward would be the long-term solution. “The Fast Forward Plan, if funded, will modernize the signal system and the rest of NYC Transit for decades to come,” Tarek said in a statement.